It’s summer time and all Caroline wants to do is play at the lake. The lake is her sanctuary, her cocoon- her comfort. Not so for her mom, Jo. 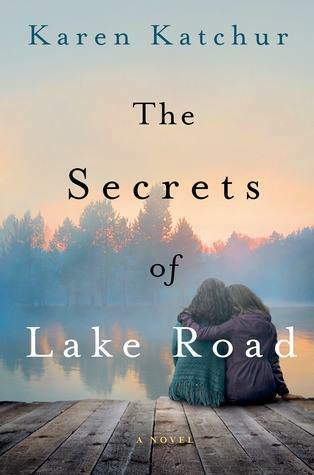 Jo can’t stand to be at the lake- the place of summer’s past- and the place where she is reminded of secrets and her role in events of the summer sixteen years ago. A body of water, a small vacation community- both represent such vastly different things to two people. When little Sarah goes missing, the community knows that she’s drowned- all ban together to help find Sarah. Some have altruistic reasons, some don’t. But one thing is for certain- no one expects to find what was uncovered in the search for Sarah. Can mother/daughter survive this summer as events come to light that change their lives? When I read the back of THE SECRETS OF LAKE ROAD, I was intrigued. Ready to settle in for a good mystery. That was my first mistake. While the story, the overall-ness of it, the slight mystery had appealing sides- I could not gather much sympathy for the characters of Jo and Kevin. Both were stuck in this quasi-teenage world, in a mindset that they were far too old for. It’s like neither of them realized that they were adults. It wasn’t till the end-ish, when Jo really began to see the role she played in the summer 16 years ago, that I felt a glimmer of like for her. It was like she was finally, slowly, growing into the adult that she needs to become. Final thoughts: As a mystery/suspense, this book lacks a certain element. It’s mystery-lite- slight suspense. As an intimate look at how families are defined and torn apart by secrets- it’s a more fitting way to describe- and it’s a good debut in that respect. Truthfully, I feel that this book is mislabeled for it’s genre. Overall, there are some enjoyable parts to the book- and the character depth of Caroline is well-thought-out. While I did not LOVE this book, I did like it. I anticipate seeing what Karen Katchur will do in her next book. *This book was sent to Traveling With T by St. Martin’s Press for review consideration. All thoughts and opinions are mine alone. Nice review. I enjoyed this book.